#TGfU Games PE – Teachers With Apps! Treading on expected lines, Nicholas Stratigopoulos has released TGfU Games PE Version 1.4., an app that has immensely helped health education professionals and physical instructors by providing fun-filled and highly effective games for children to inculcate high levels of activity. TGfU Games PE Version 1.4 can be easily installed in iPhone, iPad, and iPhone touch and requires iOS 4.3 or later. The app has a huge collection of games for children involving physical activities that complement the development of mental and analytical skills in children. 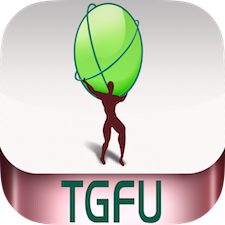 TGfU Games PE Version 1.4 is priced at $ 1.99 and available worldwide exclusively through the App Store in the Education category. Already a number of professionals are using it with satisfactory results. « Standardized Testing – Who Benefits?